one of the most freeing realizations of my adult life is that: i am a doer. i tried to force myself to ‘take it easy’ and ‘relax’ for a long time, but the reality is that i’m happiest when my hands are busying creating. so what did i do immediately after returning from a long weekend in the mountains? 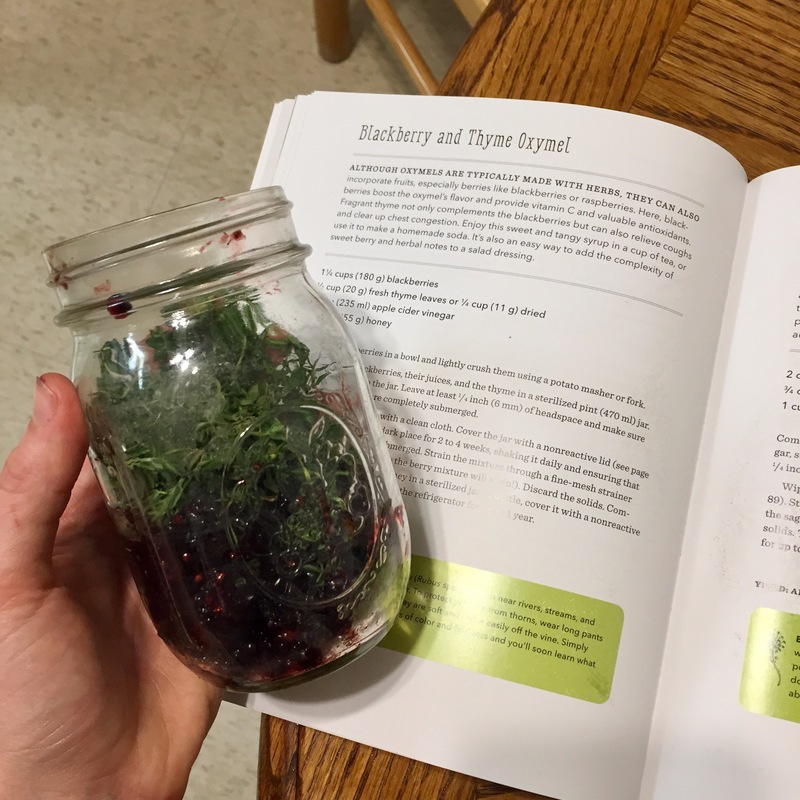 i whipped up a new herbal concoction with a load of blackberries we picked up on sale – a blackberry and thyme oxymel. an oxymel is a vinegar based syrup, and this recipe also comes from our new book wild drinks by emily han. 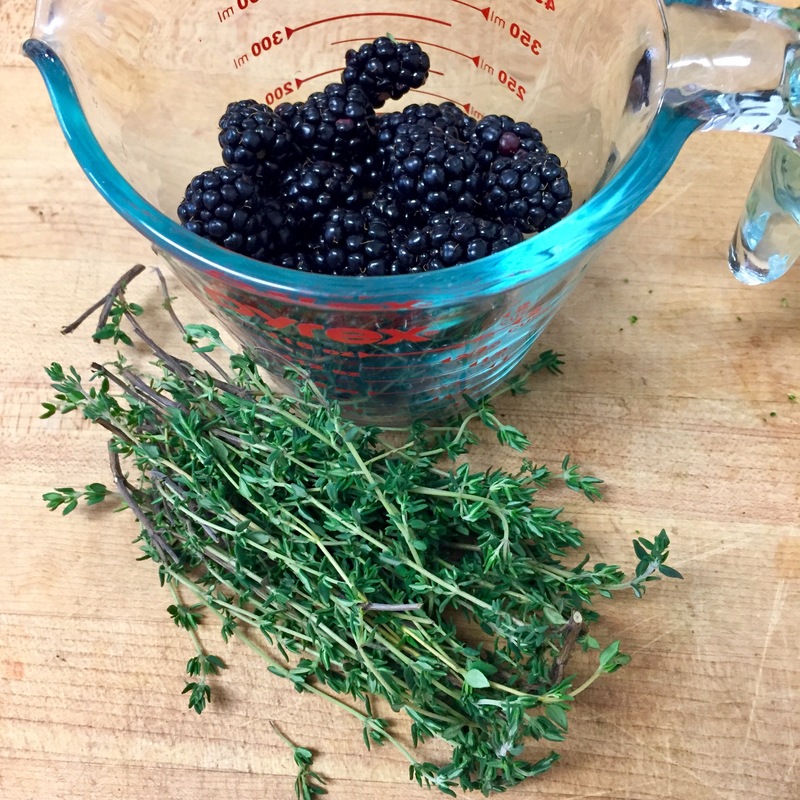 the blackberries and thyme will macerate in apple cider vinegar for a month, then we will mix in raw honey. the finished oxymel can be used in drinks, as a syrup with desert, or simply taken by the spoonful. blackberries contain antioxidants and thyme promotes healthy digestion. acv and raw honey are obviously also great for you. 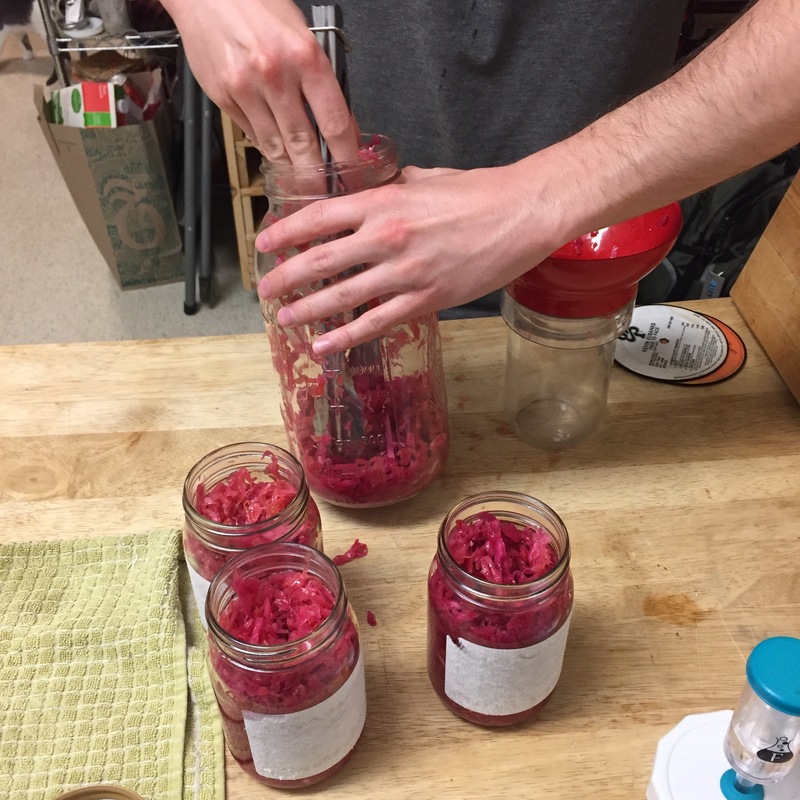 andrew also jarred up our kraut! it’s so good – the carrots added a nice bit of sweetness and the red cabbage made the kraut almost spicy even though we only used salt. i can’t wait to have some with a vegan-dog in a few days. Ooooo! Picture of the completed oxymel?